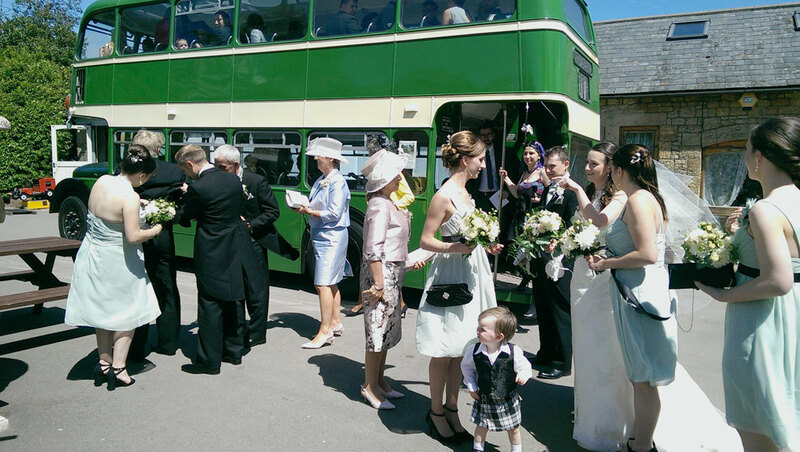 This time I’m going to make do with a pictorial report of my most recent wedding duty for Crosville Motor Services. For this particular duty I was rostered with ex-BOC LC8518 (Bristol LD6B 972EHW) and a theme emerged as soon as I saw the Work Ticket. 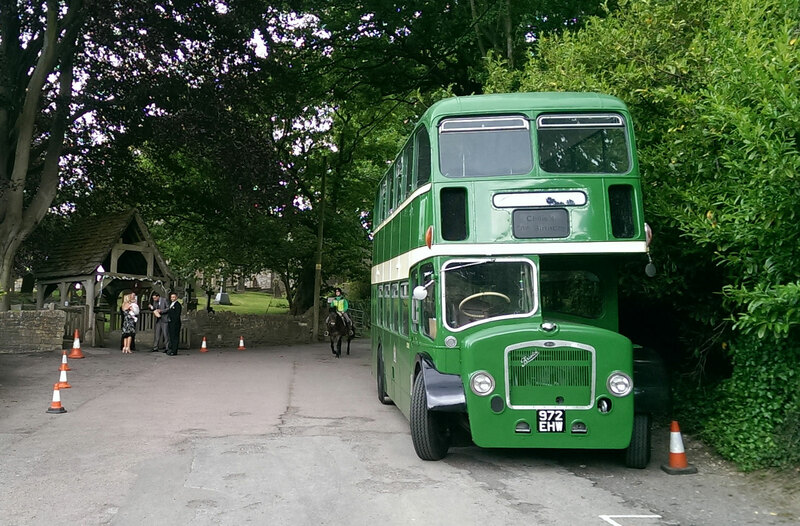 Not only was I taking the oldest Lodekka in the Crosville Heritage Fleet, I was also picking up from Old Down Manor. To top it all, the wedding was to take place at Old Sodbury! 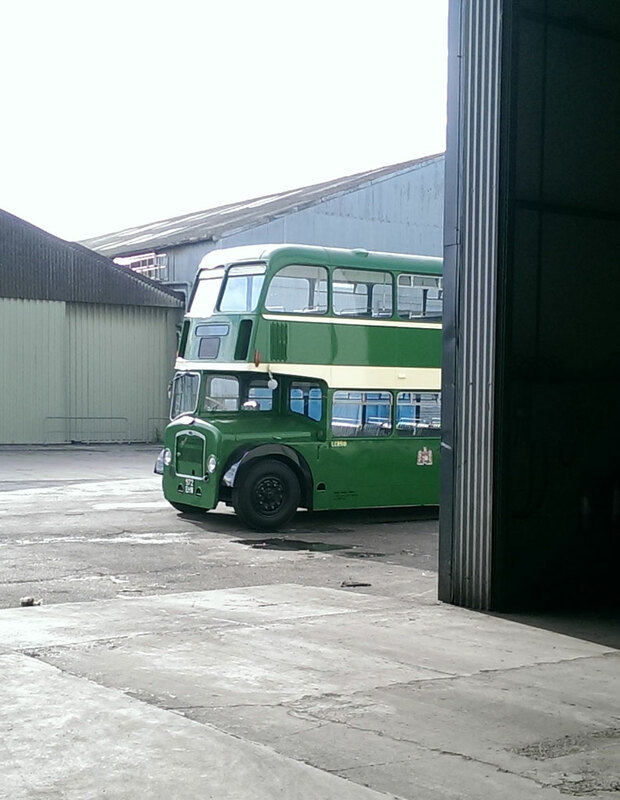 I found my bus waiting for me in the maintenance bay, having undergone an inspection the day before. It had also been fuelled up so all I needed to do was to check oil and water, and complete the rest of my walkaround checks. I brought it out of the shadowy interior into the bright sunshine to do this. Then it was time to trundle northwards to meet Conductor Kemble at Cribbs Causeway, next to the M5. After picking up some of the guests at Old Down Manor, some more at the Premier Inn, Alveston and yet more at a small hotel round the corner, we headed off through Yate to the delightfully named village of Old Sodbury. The parish church is located right at the end of a lane and I had to park carefully alongside a hedge to allow room for wedding cars and suchlike. Even though I say so myself, I judged my parking manoever perfectly. 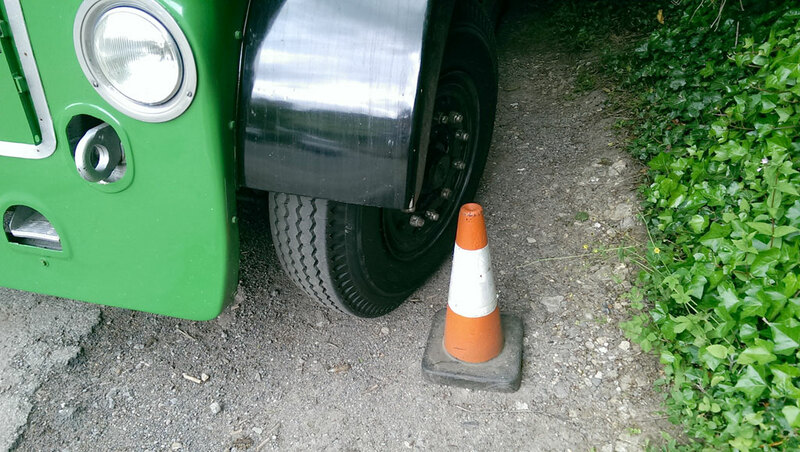 I swear I didn’t put the cone there afterwards just for the photo! So, the cat is out of the bag. 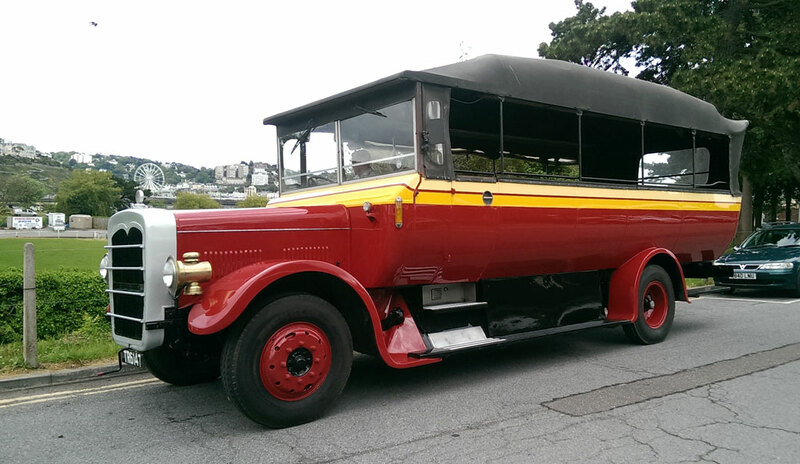 English Riviera Sightseeing Tours has acquired Bristol LH replica Charabanc TR6147. The deal was done back in April but, until the new Sightseeing Tours livery was applied, the vehicle was effectly ‘under wraps’ and news of its arrival was embargoed as far as Busman’s Holiday was concerned! TR6147 was previously owned by Wheels of Nuneaton but its owner Ashley Wakelin wanted to scale down his operation and put the bus up for sale. 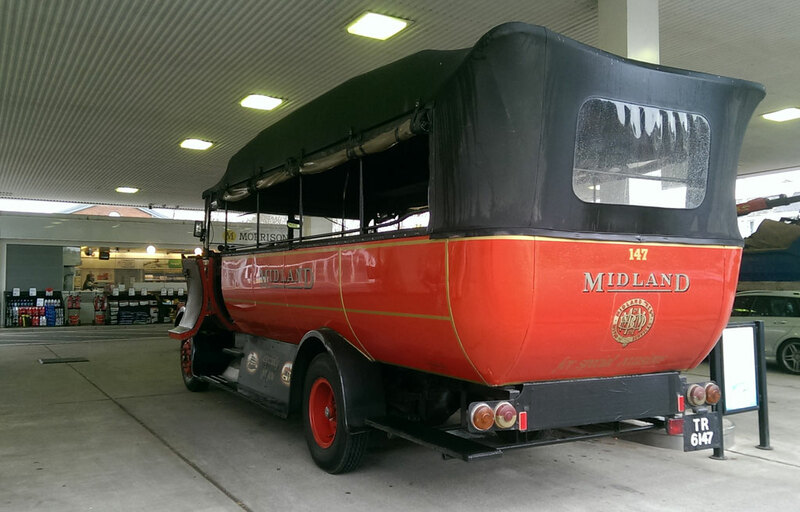 It was delivered wearing its Midland Red livery, similar to several other vehicles in the erstwhile Wheels fleet. This photo was taken during the journey up to Exeter for repainting. This was my first attempt at driving the charabanc and it was a baptism of fire, I can tell you! But first we need to do a bit of digging into the history of this rather bizarre vehicle. TR6147 actually began life with Hants & Dorset as a standard ECW-bodied Bristol LH6L bus, registered NLJ516M, in 1973. This photo of sister bus NLJ517M shows what it would have looked like shortly after delivery. After a comparatively short service life it was taken into the H&D workshops at Barton Park, Eastleigh (near Southampton) and rebuilt with a replica charabanc body, emerging in 1982. Legend has it that several parts from a 1929-built vehicle were incorporated. Certainly the registration number TR6147 was originally carried by a 1929 all-Leyland Lion PLSC3 but this bus is recorded as having been scrapped in 1943. Here is an interesting photo of the charabanc body being built at Eastleigh. All that remains of the Bristol LH is the chassis, including the Leyland O.401 6-cylinder diesel engine and 5-speed manual gearbox. The bus can carry 25 people, accommodated on deeply padded ‘leather’ seats. The replica charabanc was used by Hants & Dorset at rallies and for private hire and subsequently passed through several owners including Shamrock & Rambler and Arriva before joining Ashley’s well known Midland Red Coaches/Wheels of Nuneaton fleet. The journey to Exeter didn’t require me to use 1st (crawler) gear, which is just as well because engaging 1st or reverse is something of an art. Fortunately for us, Ashley Wakelin had kindly come down from Nuneaton at his own expense the day after it was delivered to show us around the bus and had demonstrated some of its quirks for us. The driving position took some getting used to. I’m more familiar with the forward control position found in most half cab buses but in this bus it has been set back behind the front wheels. A huge expanse of bonnet stretches out in front of the driver which makes judging one’s position when in tight spaces a bit tricky. The driver now sits directly above the engine (still in its original position under the LH’s floor) and the experience is noisy! I was curious to see how fast it would go so, while motoring along on the A38 dual carriageway towards Exeter I put my foot down. The tacho showed around 55mph! That’s an undignified speed for a charabanc (it also led to a bout of overheating) so I eased off and completed the rest of the journey at a more reasonable 35mph or so. 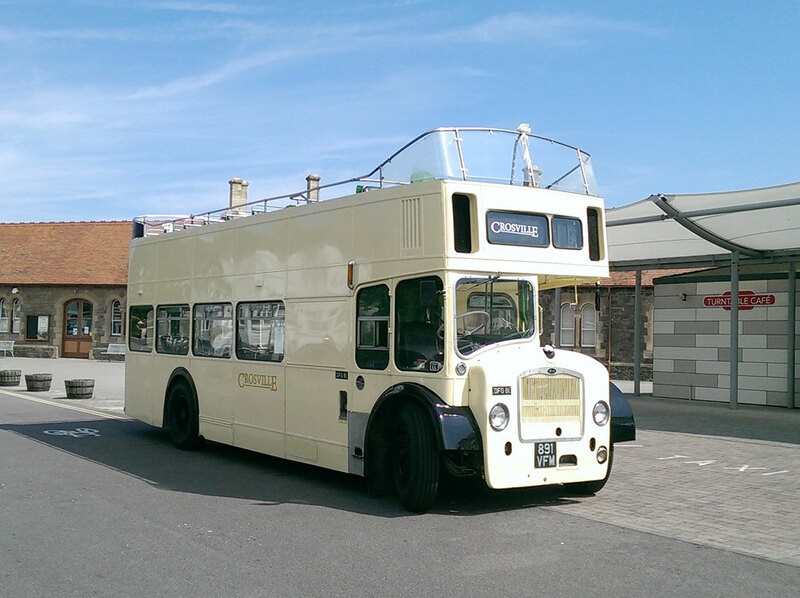 I had another trip to Minehead recently, this time with an open top Bristol Lodekka. There were quite a few similarities with my regular trips with a Leyland PD2 along Torquay seafront! Once again this duty was in conjunction with the West Somerset Railway, which was holding a special event at Minehead. 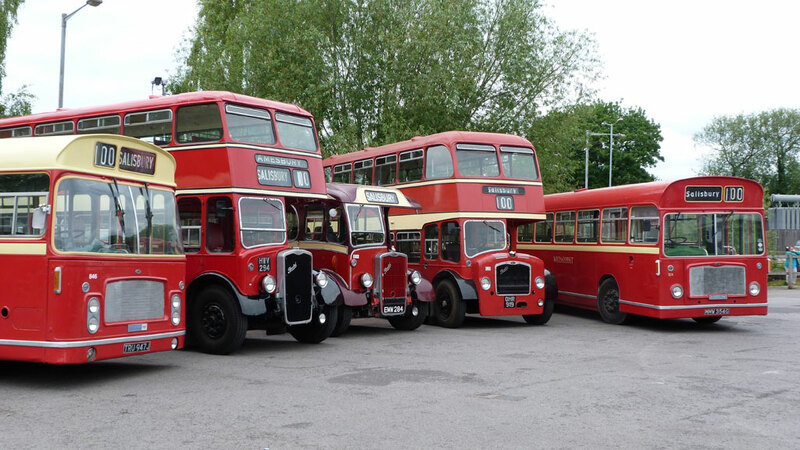 Crosville Motor Services has been contracted to provide heritage buses for a number of special events throughout the 2015 season. 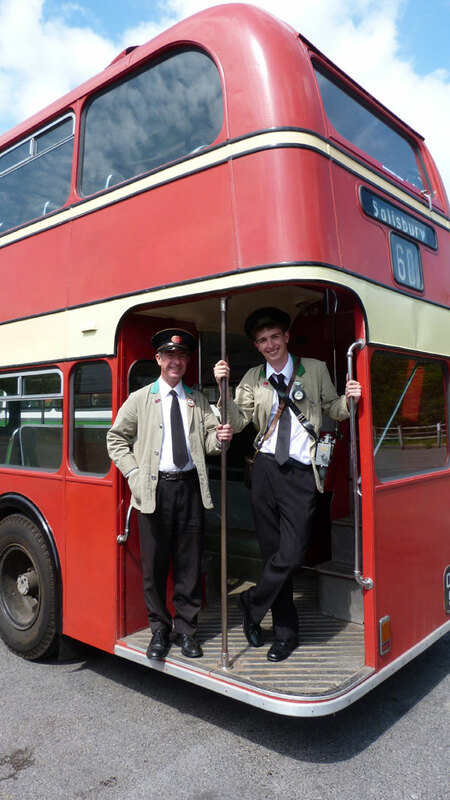 Following our experience on the first Minehead duty we did at Easter, we decided that the two buses would arrive and depart the WSR an hour apart. This is because of the low passenger numbers at the beginning and end of the day, which a single bus can easily cover. Not only that, but a day of urban driving plus 1.5 hours of driving to and from the depot makes for quite a tiring day, especially in a Lodekka! My rostered bus this time was Crosville DFG81 (891VFM), a 1961 Bristol FSF6G which was converted by the original Crosville company in the 1970s. I hadn’t driven this bus since 2012, mostly because it had suffered with some engine problems and has spent a long time having major surgery in the garage. A dropped valve caused damage and this has meant that the engine required stripping right down with a lot of parts being replaced. The workshop staff also took the opportunity to overhaul the fuel pump and injectors. The result of all this attention is that the bus now has a super-reliable, very gutsy Gardner 6LW engine. Having driven it over the Quantock Hills to get to Minehead and back, I can safely say that this FSF has the strongest 6LW I’ve encountered! Not only that, but it also benefits from having a high ratio diff, meaning that a top speed of just over 50mph is possible. When most of my most recent empty journeys have been done at 30mph max, this is heritage drivers’ heaven! The second bus, an ex-BOC Bristol VRT (also open top) with Driver Price at the wheel, arrived about an hour after I did. By then I had already done one ‘tour’ around the town and along the seafront to Butlins and back. Just like last time, it took a while for potential passengers to materialise and I waited about 30 minutes after arriving before I had a handful of people on the top deck wanting a ride. This time we had more contact with WSR staff (last time there was none) and our free rides were regularly promoted during platform announcements. 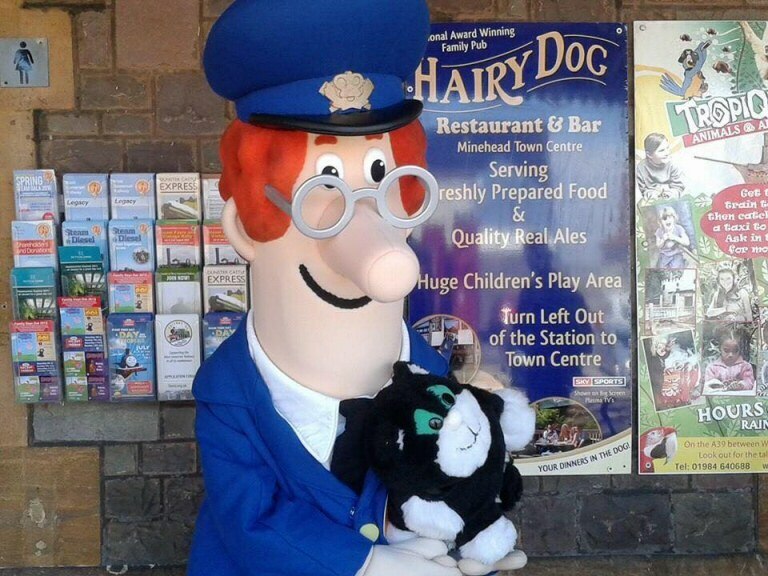 The railway’s special guest was Postman Pat and his black and white cat Jess. He appeared at regular intervals on the station platform and goggle-eyed children shook his great podgy hand or posed for photos. Beneath Pat’s fixed grin, I wonder if the person inside the costume kept smiling throughout the day? It must have been warm inside – I certainly was and that was after taking my jacket off!